Official OTA Update For Desire S... With Sense 3.0!! 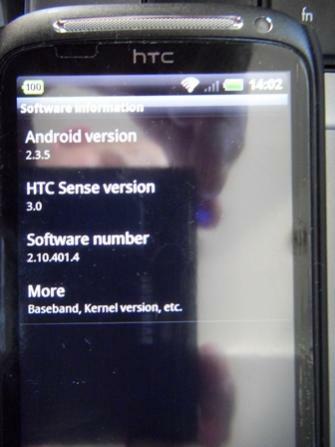 Official OTA Update For Desire S… With Sense 3.0!! Remember how Google announced during the I/O conference that devices would have a support life (meaning updates) up to 18 months of their release date? Well, it seems that HTC is being true to Google’s words. There was a statement a while back that said that the Desire S would not have support for Sense 3.0. Well, guess what just rolled into XDA member andy1120‘s phone as an OTA update? It seems that the lucky owners are in Orange in the UK. The update has been confirmed by quite a few blogs and on top of that, the OP has provided screen shots that clearly show the device running Sense 3.0 with Android 2.3.5. Quite a few people are still waiting for the OTA to roll in, but it looks like this unannounced, much needed update is the real deal. The question now becomes, which phone will be next? Please share your experiences with other Desire S owners if you happened to receive this little gift. Just got up and noticed there is an update showing on my Desire S, downloaded it and it adds Sense 3.0, software version is now 2.10.401.4 and Android version 2.3.5. Thanks shrome99 for the tip!